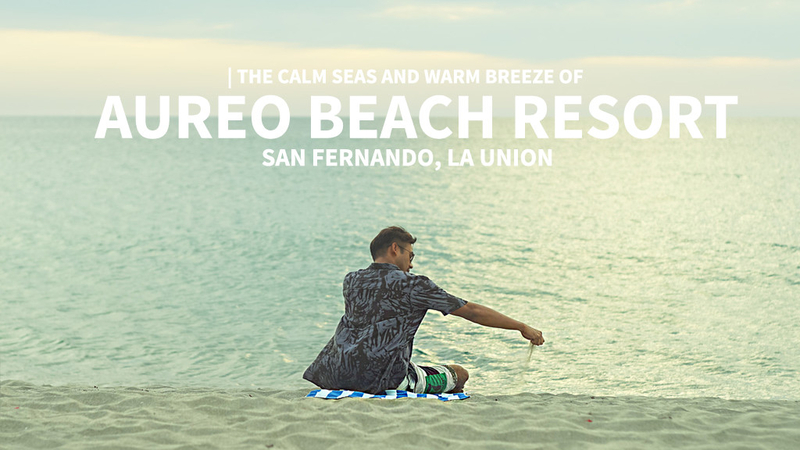 Aureo Beach Resort in San Fernando La Union may not give you the famous wave of La Union beaches but it will surely bring you a serene and homey experience. The newly built beach resort could be your escape from the hustle and bustle of the city life. But for most of you who have already been in La Union, Aureo Beach Resort could definitely be a surprise. The amenities, the experience, the rooms, prices and the other things you need to know about Aureo Beach Resort is what you will expect in this blog. It was a 4 hour drive from Manila to La Union. Our journey was a bit longer as expected because of the inclusion of 2 short toilet breaks. For a getaway place, driving with that length would just be fine specially if the traffic along EDSA is something you lived on a daily basis. Having your own vehicle while traveling is advisable most especially if you are with a large group. It will give you more freedom to do stop overs and could provide better comfort. But for commuters who would want to visit Aureo Beach Resort, going to the place isn’t that difficult. Did you know that Aureo Beach Resort is just minutes away from San Fernando Airport? Unfortunately, there ain’t any airlines flying from Manila to San Fernando, La Union. But if you got your own helicopter or plane, using this airport would definitely the best way to go there. Here is the other options on how you can commute going to San Fernando La Union. Take any bus bound for Laoag, Vigan, Abra or La Union. Alight at Barangay San Francisco, San Fernando, La Union. On our arrival, we were welcomed by a couple of staff that gave us some welcome drinks, cold towel and flower necklaces. After checking in, our bags were delivered to our rooms while we head straight to the resort main restaurant for lunch. We didn’t realized it was past 1 in the afternoon already. Aureo Beach Resort currently have four restaurants in operation but I was only able to try two of which, the Sun Chasers and Coast Restaurant. Most of our breakfast and lunch are at Coast Restaurant while dinners are usually held at Sun Chasers. I first had the chance to dine in at Coast Restaurant just right after we checked-in. We had a 4-meal course that includes soup, appetizer, main and dessert. We can also have one choice each of an alcoholic and non-alcoholic drinks. I got buko pandan juice and ginger pumpkin soup to start the meal. It was followed by a choice of kinilaw na tuna, kinilaw na tanguigui and ata-ata (which is a dish I first heard here). I had Tanguigui for appetizer for as my blogger friends explained it, more tastier than tuna. For the main, I picked Stick Pork Ribs. The other choices are Lime Butter Prawns with Kimchi Rice and Chicken Inasal. Capping the meal with Baguio Strawberry Cheesecake. Breakfast buffets which is included when you booked a room are also serve in Coast Restaurant. They got a wide range of dishes which changes everyday. Ala Carte are also available here if ever you get hungry on the other time of the day. Sun Chasers on the other hand mostly serve cocktails and drinks but also can serve simple pica-pica dishes. Getting your favorite drinks here is perfect while enjoying the beach or the pool. Our room is one of the best spot to stay in this resort. It is spacious, soundproof, got a veranda that is just in front of a huge pool and a beautiful beach view. As of the moment, you can either choose a Deluxe room or a Superior room here in Aureo Beach Resort. Aside from the minimal size difference, the kind of view you want could determine which room you would want to get. Both rooms can accommodate 2 to 4 people and could either have two (2) single beds or a King-sized bed. For any extra person one would be charge an additional of P1,830/head with Breakfast included. But children below 7 years old and is sharing room with at least 2 adults are free of charge. Deluxe Rooms are the ones with a spectacular panoramic view of the ocean while Superior Rooms got a scenic view of the refreshing outdoor pool. Not afraid of the sun! Guest can either enjoy the pool, the beach or both! Aureo Beach Resort got two huge infinity pools that is suited to both kids and grown-ups. The pools are placed strategically surrounded by the villas facing the beach. I love that inflatables in different shapes are made available for all the guest, this made our ‘pooling’ and photoshoots more fun! Had so much fun with this group! At the beach, aside from swimming, different sports activities can also be done like kayaking and Jetski. I wasn’t able to try any of those but the massage service by the beach is more than enough for me to enjoy. Room rates ranges from Php 4,500 to Php 7,500. Best rates usually comes during weekdays. Aureo Resort is currently a 3-star hotel but the service can already be compared to a 5-star. The hotel staff is really friendly and approachable. Requesting anything and/or tending to the guest needs are address quickly. Breakfast can also be done in your own room and/or veranda and can be requested just a call away. Language used here are mostly Filipino, English and local dialect, Ilocano. If you know the dialect using so would be just fine. 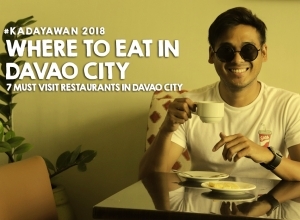 The place is just a tricycle away from the city center. If you do not have a vehicle to go there asking for a trike assistance at the lobby can be done. I was able to try it commuting and spent Php 40 per trike ride (I was told by the guards that it only cost Php 30 per ride). Locals already know about Aureo, just ask around and not worry getting lost. Would I consider going back to Aureo Beach Resort? Of course! There are still a lot of things to look forward to on this place especially with the expansion plans they already have. This means, more rooms, services and more amenities for all the guest. 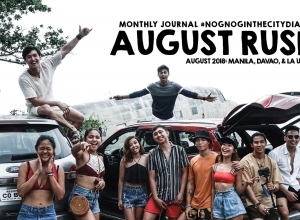 The resort may not have that kind of waves we all knew popular in La Union, but the calm seas and warm breeze do have a different set of market. These are for the people who would just want to relax and enjoy the company of friends or families. Actually, a two-or three day stay for me here would be enough especially that I have an 8-5 day job. Good thing Aureo Beach Resort is just a few hours away from Manila, making it easily accessible to anyone who would want to have a relaxing getaway. 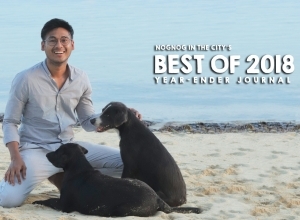 Nognog in the City’s Best of 2018!